A Lindor assorted chocolate box is packed full of delicious chocolate cream-filled chocolate spheres that make a perfect gift at anytime of the year! These are a sure fire winning gift - for celebrations, or for a surprise that make everyone feel special. 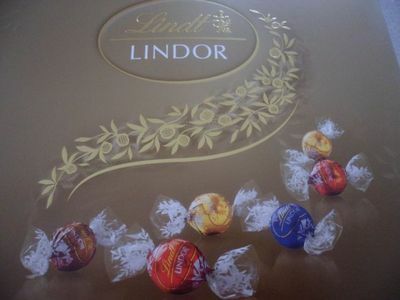 Lindor is a type of chocolate made by Lindt and Sprungli, a Swisse company that makes luxurious chocolates and confections. Lindt dates back to 1845! 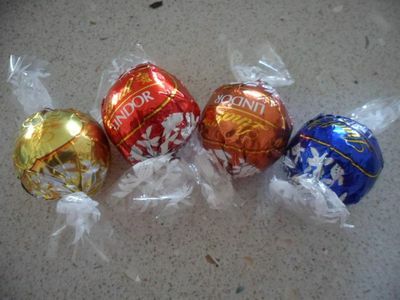 Lindor were first introduced in 1955 as a truffle ball chocolate, but now also comes in bars. Since then, over 20 chocolate ball varieties have been developed! With such a long history of chocolate making behind these delicious orbs, they are sure to be a family favourite. Pop off the lid to see inside this mystery box of delicious treats to find a stack of individually wrapped Lindt chocolate orbs. Four colours means four different flabours - yum! Something for everyone! Each box contains, usually, between three and five of each of the four flavours. Each chocolate orb is made of creamy milk, dark and white chocolate filled with a smooth, flavoured centre. Gold wrapped orbs contain white chocolate, red wrapped orbs contain milk chocolate with milk chocolate centres, orange/brown wrapped orbs contain milk chocolate with hazelnut centres, and blue wrapped orbs are dark chocolate. 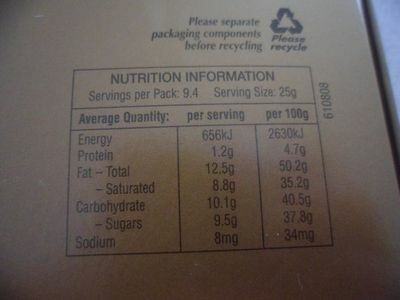 Here's the nutritional info on the back of the box. The chocolates, in their individually wrapped deliciousness, are easy to watch your portion sizes with. 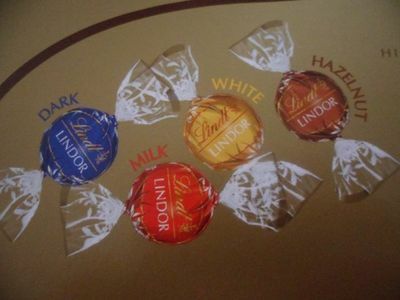 Lindor are among the ultimate chocolates out there - they are so, so good! And there are loads of different types! This assorted box gives a perfect taste of each of four different flavours (four of the most popular flavours our there), so it's brilliant for someone who is new to Lindt and trying to find their favourite flavour and for Lindt lovers everywhere who want a bit of everything. Four different flavours also just about guarantee that there will be a flavour for everyone, making the assorted box a great treat for a household where everyone has their own favourite. 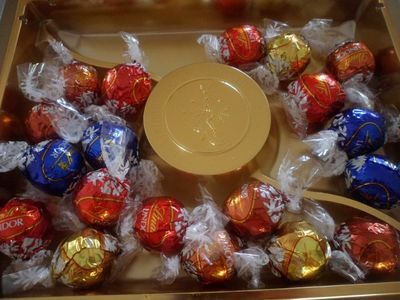 Sharing is so easy with a Lindor assorted box! New Girl Season 4 Episode 2 "Dice"